This unit provides an introduction to the course. It traces the historical development of vertical greening systems, including green facades and living walls. The benefits of vertical greening in external and internal environments are then discussed, including human health and well being, and environmental and economic benefits. A brief summary of the difference between natural and artificial ecosystems highlights the importance of human intervention in order for living walls to thrive, in the form of water and nutrient supply, and the management of pests and diseases. These topics are covered in more detail in Unit 4. The different types of vertical greening system are then introduced, with a consideration of their relative sustainability in terms of their lifetime environmental costs. The unit concludes with a review of the different types of substrate and their appropriate use. LEARNING UNIT 2: INSTALLATION OF VERTICAL GREENING SYSTEMS - Tomaž Čufer / Humko d.o.o. This unit contains the basic knowledge required for installing vertical greening systems, including health and safety issues, and understanding which locations are appropriate, and those that are not. The installation process of green facades and living walls is described in some detail, including the different types of superstructure (living wall system), and irrigation and lighting systems. This is followed by a discussion of the appropriate planting techniques for the different types of system. The unit concludes with a consideration of the appropriate techniques for water preparation, including sterilization and fertigation. This unit is designed to take a total of five hours to cover theoretical and practical application, including student assessment. This particular unit concerns the selection of plants suitable for various vertical greening systems and the background knowledge useful for making that selection. It provides information on plant hardiness zones, which plant types and species may be used, and other considerations for selecting plants. Case studies of exterior and interior living walls offer an overall view of design-based considerations involving maintenance, health and safety, environmental issues and the client brief. Living walls are a horticultural challenge which requires good planning, execution and maintenance in order to thrive. It is vital to check the quality of the materials and the method of implementation throughout the process and to pay particularly close attention in the first few months after the wall has been planted. Only a regularly maintained living wall will leave the client and other observers feeling content over the long term. In order to care for and maintain living walls properly, it is vital to possess basic knowledge of plants and their physiological needs, and to know how to identify and treat pests and diseases. 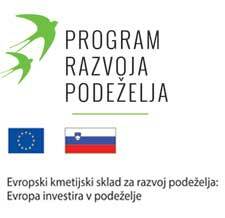 “The Textbook Verical Gardening is the intellectual property of the authors and the project partners of the Erasmus+ project Vertical Plant Life no. 15-202-012669 and may only be used within the scope of the project as a template of good practice. No part of this publication may be reproduced, stored in a retrieval system or transmitted in any form or by any means, without the prior written permission of the authors and the partner institutions Biotechnical Centre Naklo (SI), University of Greenwich (GB), Humko d.o.o (SI), Terra MBO (NL) and Hadlow College (GB). Content of Textbook Vertical gardening may only be used for non-commercial purposes: personal purposes educational purposes including teaching, scholarship, research, criticism, commentary and news reporting in the case of accurate quotation of the authors and the project. Any use of the content of the Textbook Vertical Gardening without the consent of the authors is a violation of copyright. Content may not be altered or modified in any way.